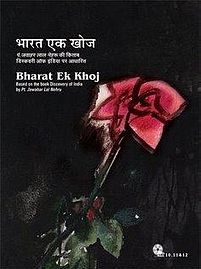 Episode #16 of Hindi TV Serial Bharat Ek Khoj (by Shyam Benegal) which was based on the book – Discovery Of India (by Late Pt. Jawaharlal Nehru) and was aired on DoorDarshan and now is available as a set of DVD for home viewing; explores the Classical Age. The major part of the first half of this episode gives some historical facts about around year 1000 to 2500 B.C. This well researched (by the author) segment discusses about the culture developed around the time of Gupta Age, Maurya Empire. The references to Dramas, Plays and other form of art and entertainment crafted in Sanskrit are also mentioned. When art and entertainment of this classical age is discussed, it is obvious to find references of Ajanta and Ellora caves (which are world heritage sites). After a brief discussion the episode focuses on a dramatized version of मृच्छकटिका (it is often spelled as Mṛcchakaṭika / Mrcchakatika / Mricchakatika / Mrichchhakatika). Mrichchhakatika is a classic play written by शूद्रक (Śūdraka / Shudraka). Mrichchhakatika can be translated in English as The Little Clay Cart. It is a story about a respected honourable Brahmin fellow चारुदत्त (Chārudatta / CharuDutt) who was very generous. He was very wealthy but in order to help his friends and do general public welfare work, he lost almost all his fortune. People considered him as a noble person. CharuDutt was living in Ujjain (or Ujjaini). In the same city a Nagarvadhu (courtesan) named वसन्तसेना (VasantSena) was living too. She was very wealthy. She was attracted (and fall in love for) towards CharuDutt based on his humanitarian work. One day accidentally she got to know a lot about Charudutt from his former servant/aide (who was now jobless and gambles in order to earn the living). Even more impressed with Charudutt’s nobility she was very curious to meet him. Charudutt informed her that he will send a cart to pick her up. In this love story, there is a villain too. Samsthānaka, a vulgar courtier, who happened to be brother-in-law (wife’s brother) of the king is the main antagonist. Through his character the play have political and dramatic moments. The cart sent by CharuDutt to pick Vasantsena and cart of Samsthānaka got interchanged accidentally and Vasantsena was reached to the wrong address. The dramatic moments after this point are better not to reveal, but we can summarize it as Vasantsena was eventually killed by Samsthānaka. Samsthānaka plays dirty game and through false evidence he gets CharuDutt convicted for the same. CharuDutt was given the “death penalty” by the judge!. Will the truth going to triumph? Will the actual murdered got convicted? Will Vasantsena and CharuDutt’s love story move ahead? Will the old servant of CharuDutt stop gambling ever? All these questions are answered in the rest of the episode. It is worth to note that Mrichchhakatika is one of the most adapted Sanskrit play in western countries. The play is written in a common man’s language, exploring almost real life situations, to which even people of modern day can link as well. In terms of acting this episode belongs to Anjan Srivastav who plays Samsthānaka. He acts so naturally in this negative role that you often find his character disgusting. It is his success as an actor, of course. The second competent actor in this episode is Harish Patel. He plays the ex-manservant of CharuDutt. Rest of the actors do their work, sometimes convincingly, sometimes not. They often are found underperformers. However it doesn’t affect overall impact of the episode. The scenes in the initial segment of the episode are taken from various other sources (e.g. wild life). The raining song, moving buffaloes in the pond, a lady getting wet in the rain, leaves little impact. The costumes in a couple of scenes doesn’t look proper. They are very authentic during rest of the episode (especially in Mrichchhakatika adaptation). The dialogs are well written and the script is tight too. There are some segments where you will find some technical limitations. Overall, and episode which is definitely worth going for. It has a lot of positive attributes against some minor limitations. Those who was to know the history or ancient literature, should not miss it. It is definitely one of the best value-for-money and value-for-time Hindi TV serials made ever.